Conditions in Zürich were very similar to previous years, all legs were pretty close to the course ratings. Some athletes posted quick times in the individual legs (Celine was just 22 seconds off her swim course record, Cameron within five minutes off the bike course record) and overall records (Nick ended up just 48 seconds slower than Ronnie in 2010, the second fastest time ever in Zürich), but no new records were set this year. 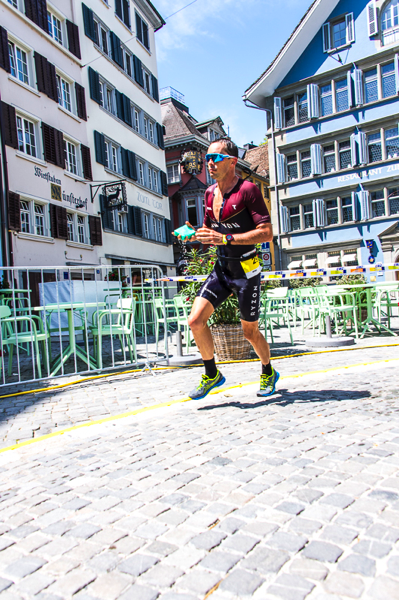 Nick Kastelein had a great race in Zürich: He posted the second fastest times on the swim, bike an run, resulting in the second fastest time ever at IM Zürich and convincing win. Cameron Wurf seemed to be intent to close the small gap to him after the swim, but never managed to catch up to him. 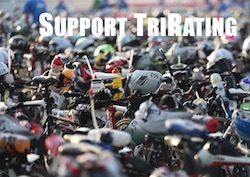 He still had a lead of one minutes into T2 and then quickly built that to seven minutes at the finish. Second place went to Ruedi Wild who had the fastest marathon of the day. Jan Van Berkel ran a smart race: He was in close proximity to 9-time-winner Ronnie Schildknecht for most of the bike, and secured third place with a solid sub-3 marathon when Ronnie had to DNF with a strained muscle. With Samuel Huerzeler another Swiss finished in fourth, while Daniel Fontana climbed from 8th in T2 into fifth at the finish, securing a Kona slot. Daniil Sapunov in sixth and Cameron Wurf in seventh place missed the second place they would have needed for a Kona slot. 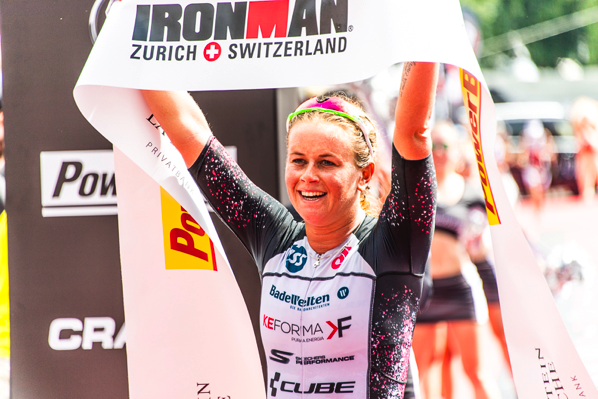 Celine Schwerer won IM Switzerland, leading from wire to wire: She was leading after the swim by five minutes, then had a good bike ride leading by almost eight minutes in T2, then also had the best run to win by almost fifteen minutes in the end. She won her first Ironman and also secured a July Kona slot. Tine Holst also have needed a win for a Kona slot and fought hard until the end, but only managed to run herself into second place. Third place went to Martina Kurz in her first Professional Ironman race.